As the Computational Design Manager at Ridley, Andrea is developing new workflows in order to speed up the repetitive and time-consuming tasks in the office, researching and developing new fields for Ridley to expand its field of expertise to all sort of Architecture with a smart management of all sort information in the process. 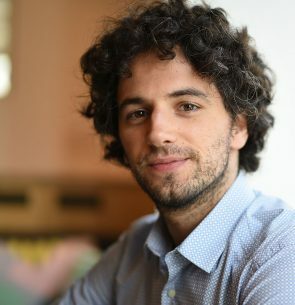 After first exploring the Computational Design world during his studies at the University of Bologna, Italy, Andrea became fascinated by geometrical complexity, construction systems, technology and innovation in general. In his time at Ridley, Andrea has extended this passion to include not just shapes, but information. His academic and professional formation is highly diverse and multicultural. While studying, Andrea started working as an Architect in a small but highly innovative and forward-thinking practice firm in Italy. There, they were researching on smart urban planning, abandoned building innovative re-use, institutional buildings evolution and future public spaces. After a highly experimental Graduation Thesis populated by smart and robotic architectural elements, he worked in Lithuania as an architect. In 2016 he moved to Sydney, first joining the AR-MA team working on the extremely complex project of the New Perth Stadium. Andrea is now a valued member of Ridley, where he can challenge his passion for complexity with articulated and iconic projects.